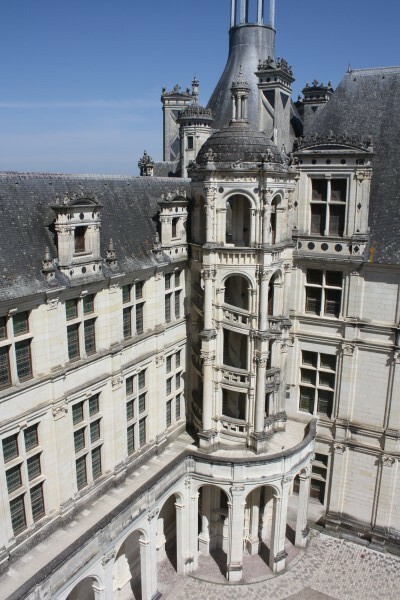 [This post originally appeared in April 2015 and has been updated to include more information for travellers looking for unique experiences while in the Loire Valley. 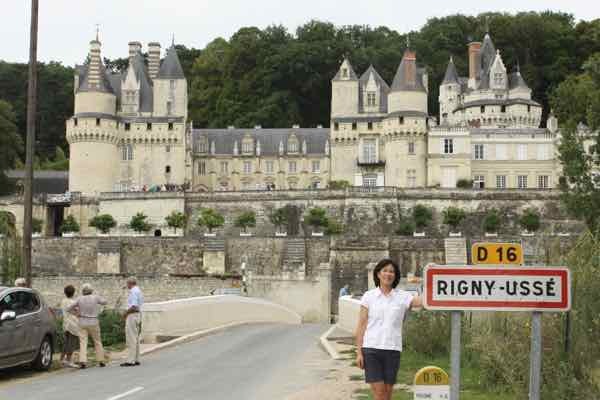 Check out the podcast, “Join Us In France” as I share many of these ideas in Episode #168 called, “Loire Valley Castles You Shouldn’t Skip”]. In the Spring of 2015, my friend Judy joined me in France. 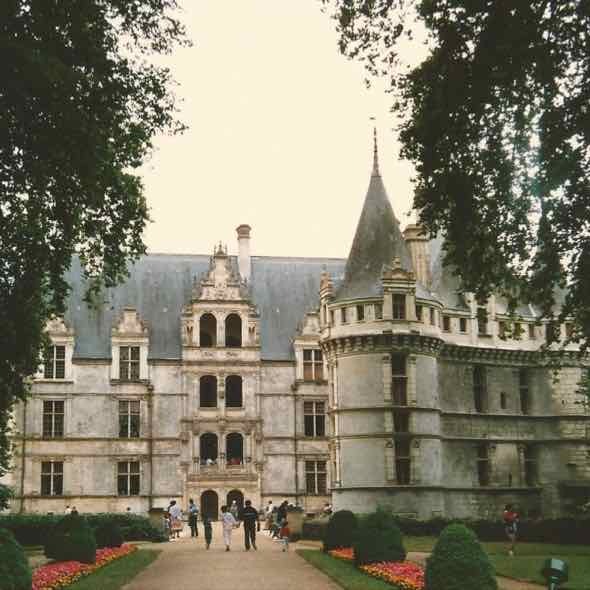 After landing in Paris, we headed west to see some truly unique châteaux in the Loire Valley. 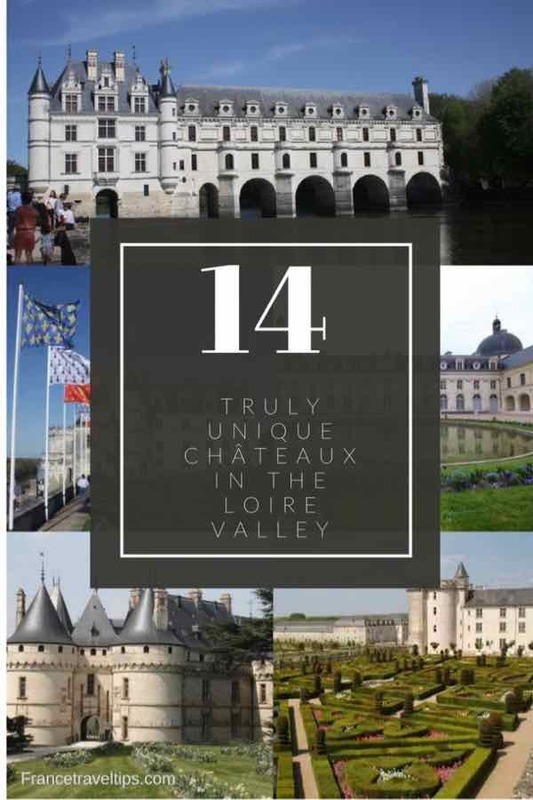 In 2000, UNESCO designated the Loire Valley (between Sully-sur-Loire and Chalonnes) to be a world heritage site so you know there’s something truly special about the area. So that Judy could see as many châteaux as possible in a week, we decided to use the towns of Blois and Tours as our bases. It’s only a 3-4 hour drive from Paris and in April, the weather was perfect. While there were few crowds, the gardens were not yet in full bloom. Some châteaux had not fully “blossomed” and in another month or two the scenery would have been perfect; however, what we did see was pretty impressive. It was my 4th time and I never get sick of seeing these lovely castles in the Loire. [Note: while July and August can be more crowded, it is a season when there are many more festivals]. 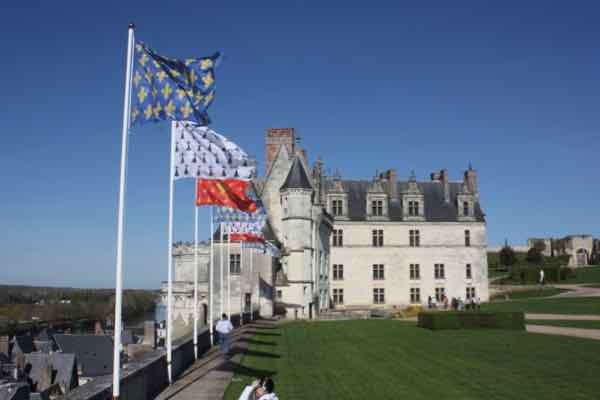 What makes many of the châteaux in the Loire Valley so special is that the region and the châteaux provide attractions, activities, and experiences not just for adults, but for children as well. 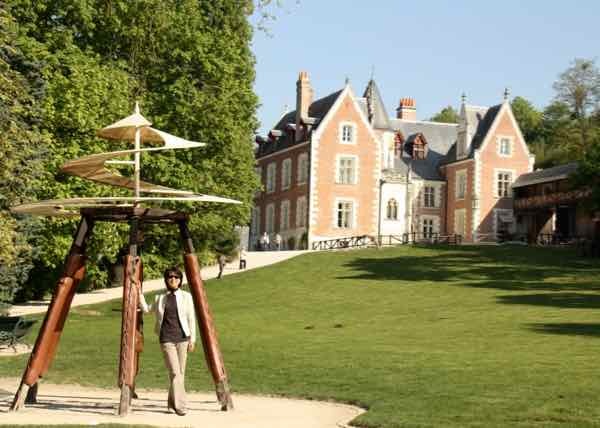 Here are the highlights of what you can see (14 chateaux) and what you can do. [A map indicating all the sites is at the end of this post]. 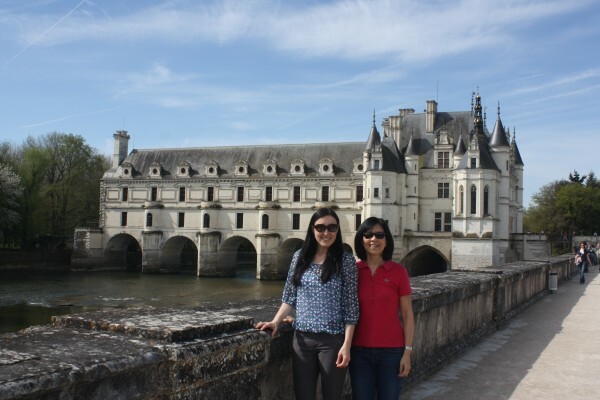 Chenonceau is one of the most famous (and popular with tourists) as it straddles the River Cher and provides countless opportunities for great photos. When King Henry II died, his widow Queen Catherine de’ Medici took possession of the chateau. 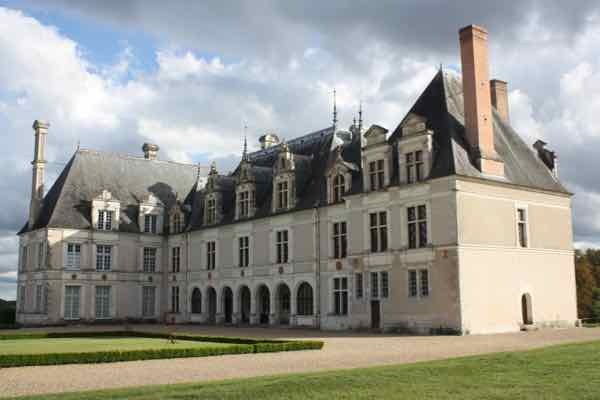 Unfortunately, Henry’e mistress, Diane de Poitiers, was living there at the time. She was kicked out but in exchange was given Château Chaumont-Sur-Loire. Chambord is the largest château in the Loire and rumour has it that Leonardo da Vinci was involved in its design.The audio-visual presentation explaining the chateau’s history and creation is fascinating. OMG, the gardens! When the gardens are in full bloom they are spectacular. There are all types of gardens: boxed hedges plus flower, vegetable, and water gardens located on three terraces. These gardens are maintained all year long by 10 gardeners. 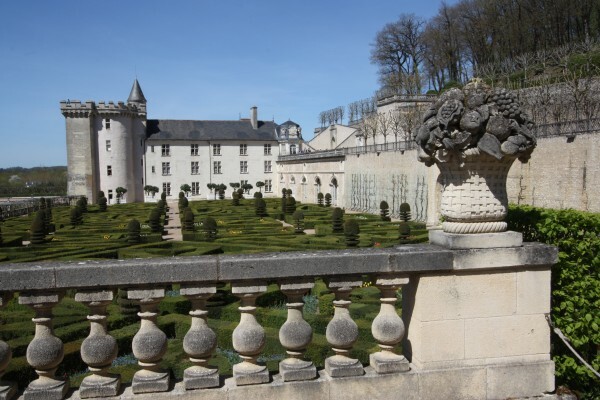 You can get a combined ticket to see the château and gardens or just the gardens. 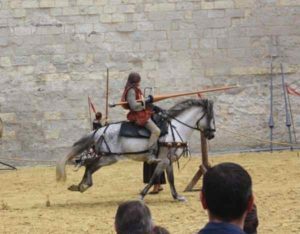 In the town of Amboise, you can visit the Château Royal d’Amboise and Le Close Lucé and if you are there in the Spring, you will encounter the Foire d’Amboise, a festival complete with music, food, and local products for sale. Then head to the chateau which is located high above and provides splendid views of the river and town. It has beautiful grounds and Chapelle St-Hubert, which is the final resting place of painter and inventor, Leonardo da Vinci. Le Clos Lucé is a manor house not far from Château Royal d’Amboise. It is known as the Leonardo da Vinci Museum as da Vinci lived here and spent many years designing new inventions. Many of his inventions can be seen—inside and on the grounds. The exhibits are excellent and are especially popular with children as they can take part in workshops. There is a picnic area and an app to assist you with touring the house and park. Check out my post about this unique place: Le Clos Lucé. Château de Cheverny is the first photo in this post. The family that finally gained ownership of this château still own and operate it and every day at 5 pm the hunting dogs are fed. 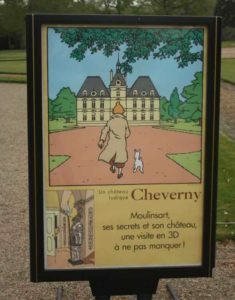 Cheverny was also used as the model for the chateau in the “Adventures of Tintin” comic books. We were unable to enter as we arrived just past closing; however, I have visited this château in the past. Ussé was used as the inspiration for the Sleeping Beauty story by Charles Perrault. Inside, they have attempted to recreate the story using wax figures and mannequins, however, I found it a bit creepy. 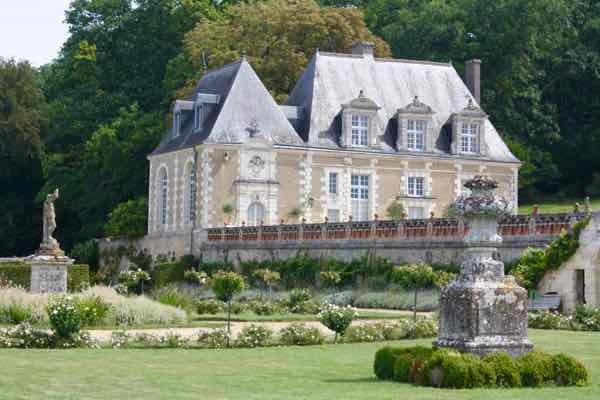 This is an interesting château that is not only known for its gardens but also its wines. The garden has plans, flowers, and hundreds of vegetables. 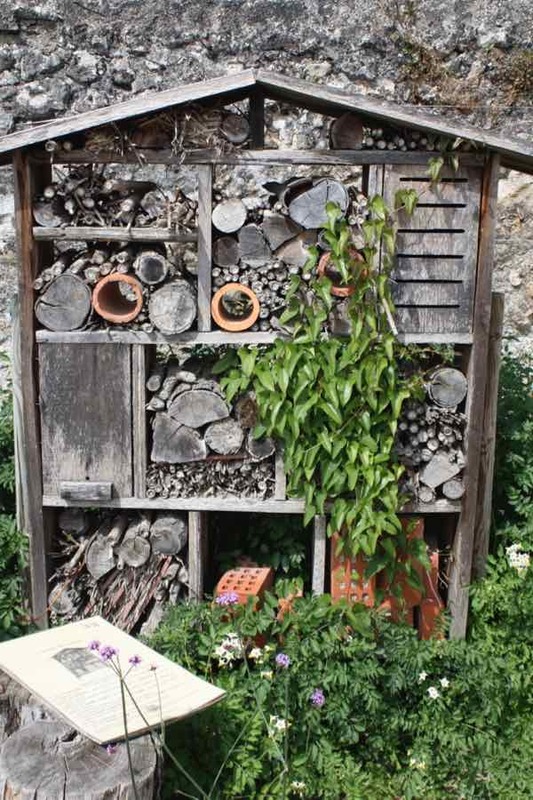 To assist the ‘kitchen garden’ there are boxes (ie bug hotel or bug boxes) which encourage the insects to pollinate. This is a pretty expansive chateau on a hill providing views of Loire River. Various rooms in the château are decorated well with period pieces. The gardens are so renowned that in April the château holds it’s annual Garden Festival (Festival International des Jardins). In addition to the gardens there is also a bee barn, riding stables, and a display of horse-drawn vehicles. 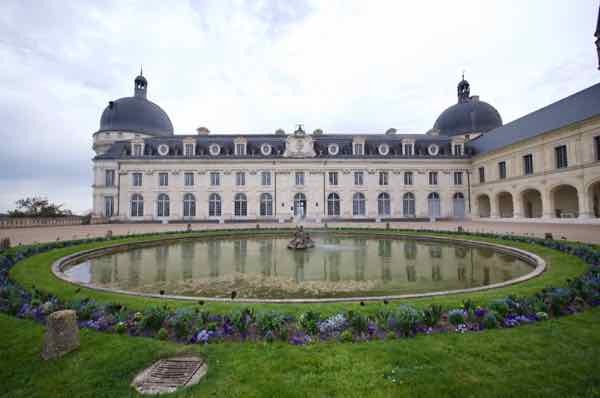 This chateau is known for its gallery of portraits decorated in the 17th century. 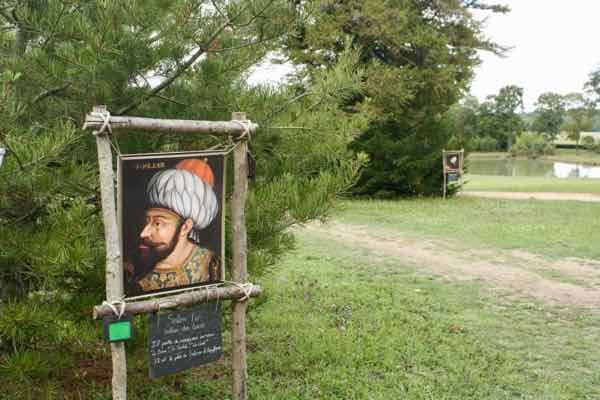 There are over 325 portraits of famous people (royalty including Christopher Columbus and King Henry VIII) and visitors can see copies of these portraits as they stroll through the grounds. Set high on a hill, the fortress at Chinon is quite large and has dry moats. It also has excellent views of the river and town. Every Thursday through the summer you are invited to sample some local wine from a local grower. 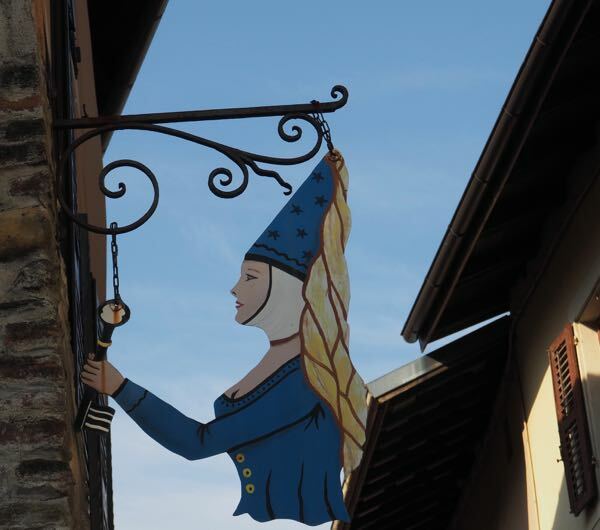 During the first weekend in August, the annual medieval festival his held at the château. When we visited in 2015, it was pretty quiet and a visit in the summer would have provided more opportunity to take part in activities such as taking a try at the largest maze in France and seeing more animals in the park. This is a place that children would enjoy as there are a number of hands-on activities. For me, the architecture once again was the highlight. Azay-Le-Rideau is a unique château to see as it is located on a natural island in the Indre River. 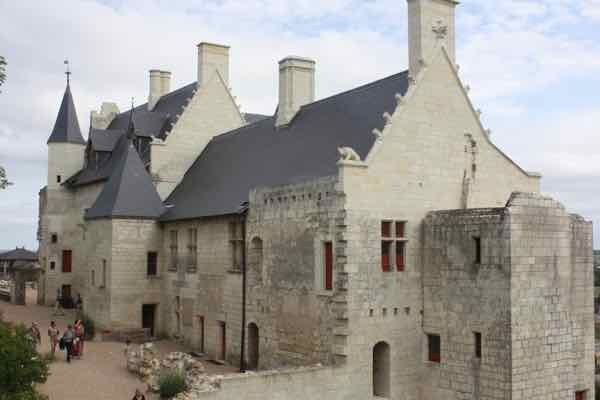 A major restoration project was recently completed on the facade, sculptures and roof. The château, which at one time was a fortress and prison, has ramparts and an impressive view of the river and town of Saumur. Many call it a fairy-tale castle and it does look like one. 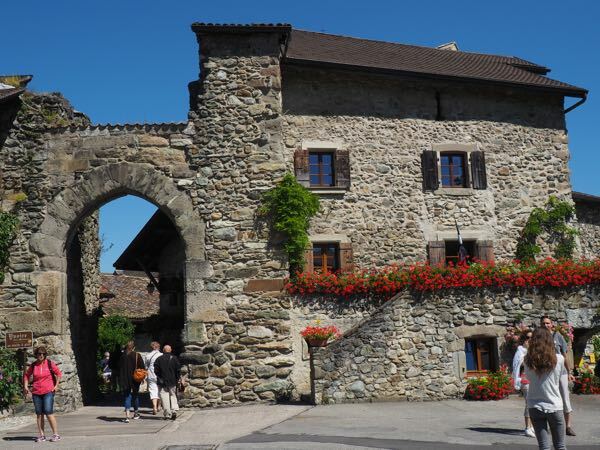 As I recall (and from other’s reviews), the inside isn’t as impressive; however, the chateau does hold a very good medieval festival in August. It is not uncommon to see bicycle tour groups heading to a château. The Loire Valley is particularly flat so it is ideal for bicyclists. You can also rent bicycles at certain châteaux (ie. 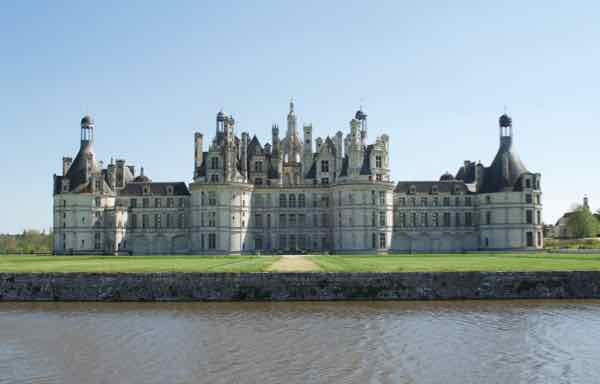 Chambord) and this will give you access to their large estates. 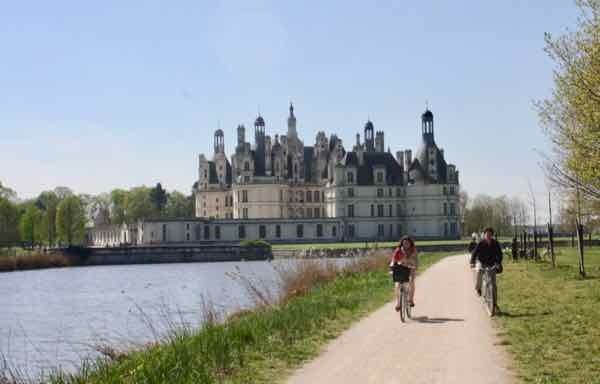 Many hotels in the Loire also provide bikes to their guests so be sure to enquire. 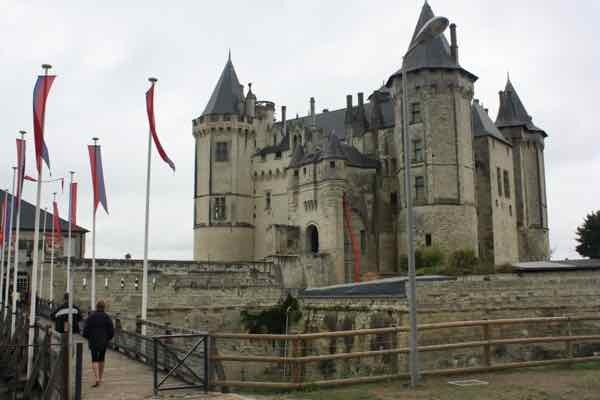 I was most impressed with the medieval festival that took place at Château de Saumur. 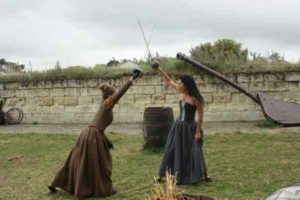 There was jousting, sword fighting, and medieval reenactments. 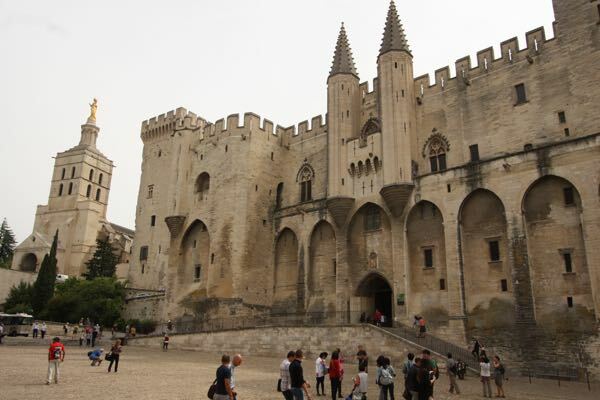 Many châteaux will hold festivals like this during the summer and they are well-liked by children as there can be activities which are interactive. 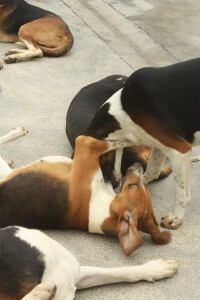 At Saumur, for example, audience participation was encouraged! A number of years ago I tried to take a morning hot air balloon ride; however, the weather didn’t permit this so I had to wait until the next time I visited. When we finally got the “Go”, we met the group near Amboise at 7 pm and for 189 Euros per person, we got a flight over part of the Loire Valley. It lasted about 1 hour and was incredibly quiet. We got close to the ground and high enough to see private chateaux as well as Château Royal d’Amboise. Afterward, we celebrated (as is customary) with champagne. In the summertime, many chateaux will hold son et lumière (sound and light) shows at night. 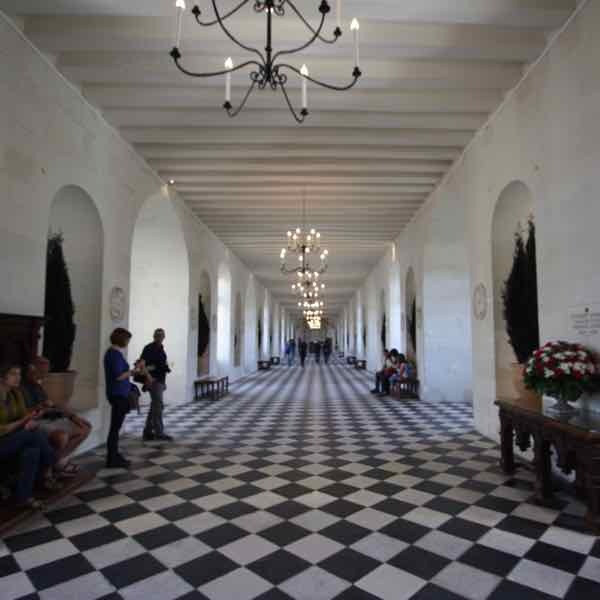 I attended one many years ago at Chenonceau and while it was nice being in the gardens listening to classical music, at the time, my French isn’t good enough to understand the commentary. The projections on the castle were Ok, but I wasn’t too impressed with the presentation. Hopefully with improved technology, things have improved. If you’re staying overnight near a château, consider attending this show, but first, read some reviews to see if you’ll really enjoy it. If you’re interested in spending the night in a real French chateau as well, be sure to read my post: Staying The Night In A Real French Château. Check out my list of more unique experiences in France: Top 100 Experiences In France. The Loire Valley is also home to some of France’s greatest and most under-appreciated wines, both red and white. My favorites are the whites from Savennières, made from the Chenin Blanc grape. I love the Vouvray wines in the Loire. Wow! It seems it would be impossible to pick a favorite as each of the chateaux is absolutely stunning and unique. 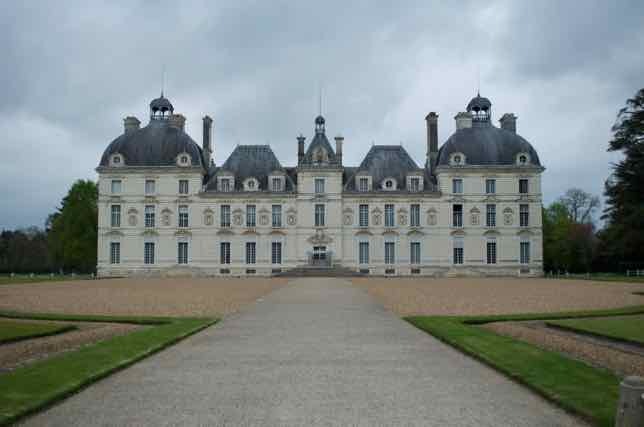 And what a fun pastime to visit this area and see as many of these marvelous chateaux along with their gardens. It’s easy to see why the Loire Valley is a UNESCO WHS as each of these beauties seem like they’d qualify on their own. And how amazing it would be to see the valley from above in a hot air balloon! 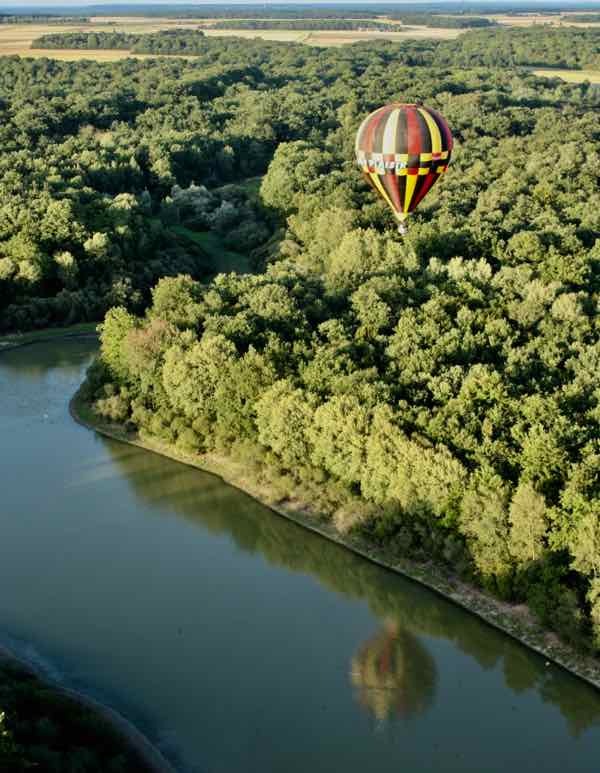 I’d love to do another hot air balloon ride but I would really hope to see many more chateaux during the flight. I had to smile when I saw your list. 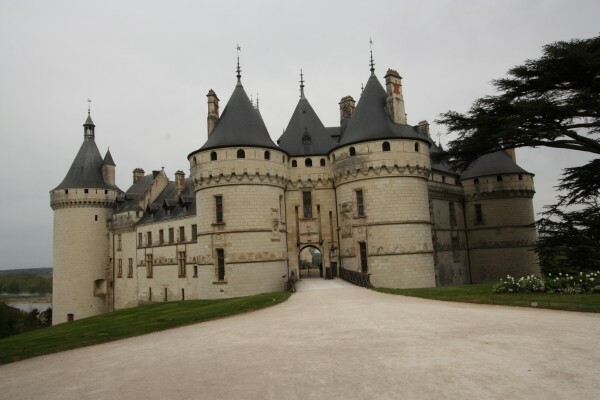 I knew I had been to a lot of the chateaux in the Loire but I didn’t realize how many…I’ve seen each one you suggested. The gardens at Villandry were absolutely stunning in the fall. And there are so many more to see too!